HPE FlexFabric 12900 Switch Series is the next generation modular data center core switch designed to support virtualized data centers and evolution needs of private and public clouds deployments. 16 I/O module slots, supports a maximum of 768 40GbE, 768 10GbE, 1/10GbE copper, 1/10GbE fiber, 1GbE fiber, or 10/100/1000 ports, or 576 100GbE ports, or a combination. HPE FlexFabric 7900 Switch Series is a compact modular data center core switch designed to support virtualized data centers and the evolution needs of private and public clouds deployments. 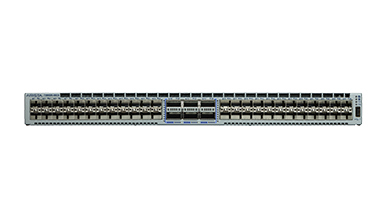 10 I/O module slots, supports a maximum of 120 40GbE ports or 480 10GbE ports or 240 1/10GbE ports, or a combination.